ON THE OBAMA/CLINTON TICKET | Thoughts of a Calabarboy. 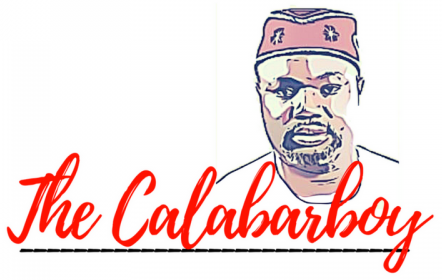 ON THE OBAMA/CLINTON TICKET – Thoughts of a Calabarboy. Let me begin by telling something about the power of ambition. Ambition is what defines the nature of human relationships in the larger world and is the silent voice, unspoken intentions, that guide decisions at political, economic and socio-cultural human organizations. What mainly drives people in whatever they do is the nurtured or unnurtured ambitions that lurk in their hearts, and this dictates the parameters within which they perceive their external environment or define their relationships. It is one of the most powerful forces at work in the human mind an will twist every situation a person faces to suit the course of its desired destination. No other playing turf for homo sapiens reveals the inherent and manipulative nature of ambitions than the political turf. We see men bite, rebite, and re-rebite (if I am permitted to use this) other men who stand on their way. Some are very subtle about their bites that after biting, they get the spectators through the media to believe someone else did the biting. Others bite and leave their teeth marks on their opponents and still deny it was theirs. Worse still, some bite so hard and leave their entire dentition still stuck to the flesh of their opponents and get the whole world to wonder whose teeth those are. I was in nursery school when a little girl was in the habit of biting my arm. It’s either the girl was possessed or I was simply looking like a wrap of sierra burger. For what ever the case, there could be no denial by even her parents as the marks of her biting always remained on my succulent and tender flesh. My safe deliverance came when the only solution was to get me from the view and class of that spooky girl. Nothing else would have sufficed. My question from this premise follows thus: How can you allow a person that has suffered massive bites from another person both sleep on the same bed and call it unity? Can you imagine if my teachers had decided I should sit on the same desk with the biting girl? Ambition makes people step on the heads of others to achieve their aim and it is impossible to strip a person of his/her ambition. Hillary Rodham Clinton has shown to everyone that she can do anything to achieve her ambition and this is particularly dangerous for the relationship many are calling for. Obama still has the bites scars inflicted by Clinton and no amount of call for unity can erase that. A forced relationship between the two will prove disastrous for the future of this nation because I don’t believe Clinton can submit to the leadership of a man she doesn’t like. She has shown it time and again that she cannot be controlled and let’s not forget that the office of the Vice President is wholly controlled by that of the President. broiling in their stomach and no amount of persuasion can dissuade them from their intended course of action. Therefore can we please change the topic from a joint ticket to something more useful such as building a national coalition for the democratic party. If Hillary is influencial and has the interest of the party in her heart, then let the party use her to woo in the older women and less educated rural Americans to support the party during the general election. While is sounds sweet and looks like an unstoppable duo, what usually destroys a perceived great structure is not the external pressures it faces, but the internal grumblings and acrimony that implodes from within. Chinua Achebe in his book tried to deliver a time proven concept by showng that when “Things Fall Apart”, it is simply because “The Centre Cannot Hold”.